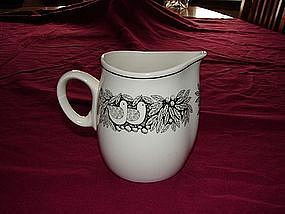 Franciscan Bird N Hand Creamer. Marked Franciscan Japan. Mint condition. 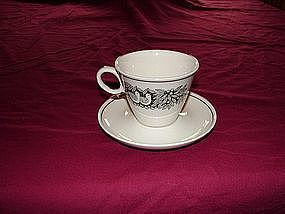 Fukagawa Arita cream and sugar. 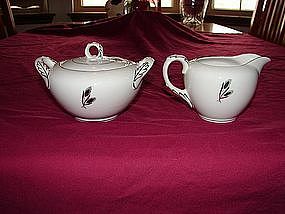 Marked Made in Japan hand painted.Very beautiful silver trim and design of wheat. Mint condition. 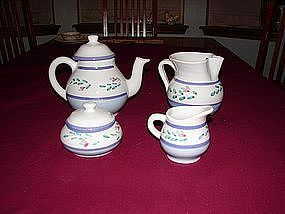 Noritake Guenevere creamer. 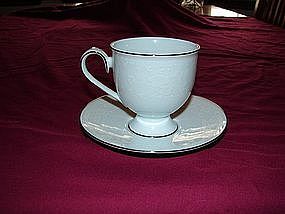 Marked Noritake Japan. Mint condition. 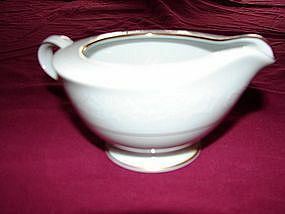 Noritake Guenevere gravy boat. 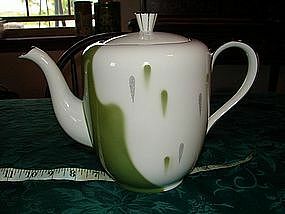 Marked Noritake Japan. 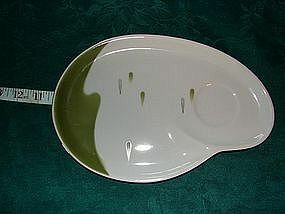 Bowl has attached underplate. 8 1/2" long x 6" wide x 3" tall. Mint condition. 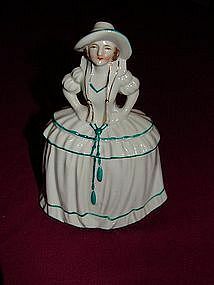 Very nice piece to add or for replacement. 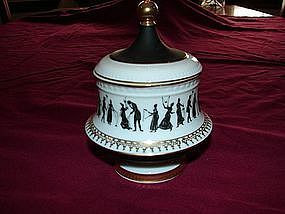 Royal Crown Mardi Gras sugar bowl with lid. 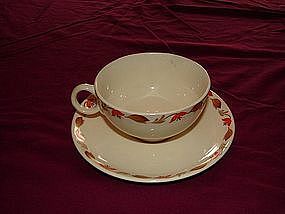 Marked Royal Crown Japan. 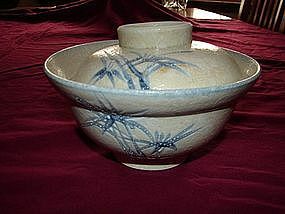 Bowl is 5" tall x 3" dia. 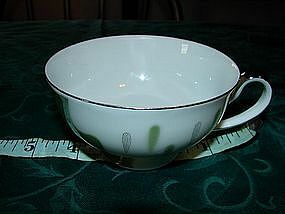 Bowl has one small chip in it, just barely noticeable. 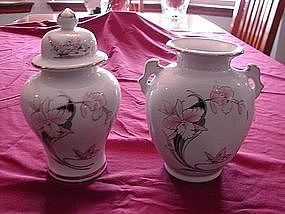 Japanese Vase and Lidded Urn. Marked made in Japan. Both are 8" tall by 5" dia. 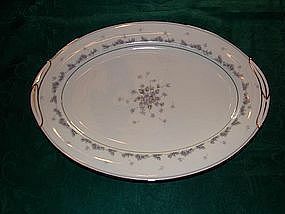 Handpainted flowers and butterflys on china. Mint condition and a real beautiful set. Heirloom quality. 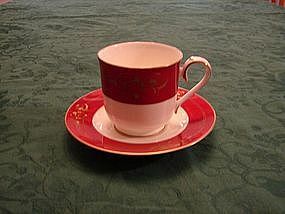 Noritake Ruby Garland cup and saucer. 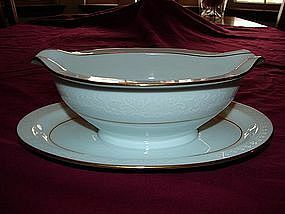 Marked Noritake Japan. Mint Condition. 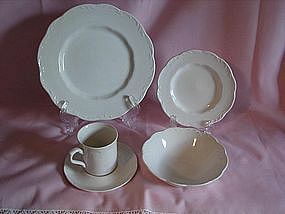 Buy both sets and get a Ruby Garland salad plate for free.